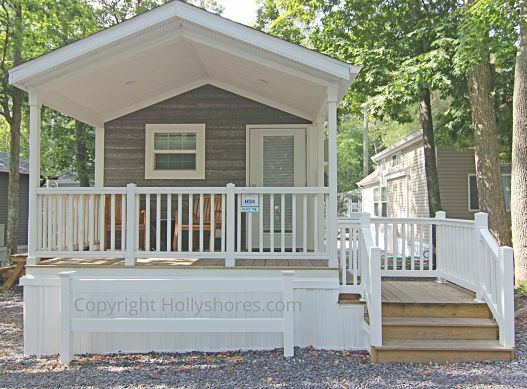 Our tiny houses are comfortable and spacious enough for a family of four with your own kitchenette and full bath. Outside, enjoy a spacious covered deck with chairs, plus a charcoal grill, picnic table, fire ring. Tiny Houses are pet friendly. *RATES ARE SUBJECT TO CHANGE BASED ON AVAILABILITY. 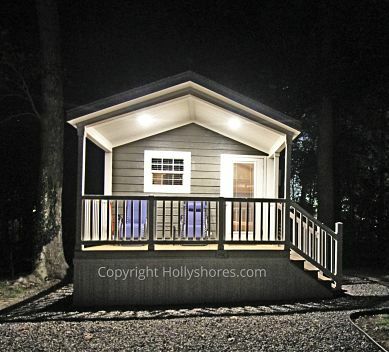 Please note: Interiors and exteriors may vary, and contents of rental are subject to change. When making a reservation, although we do our best to accommodate all requests, we cannot guarantee site selections. Your confirmed reservation will guarantee you a spot, not necessarily a specific site.